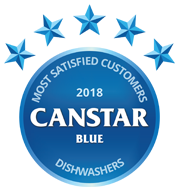 Canstar Blue’s annual dishwasher review has seen nine brands rated on their performance, internal layout, quietness, design, value for money and overall customer satisfaction. Compared brands were Miele, Asko, Smeg, Fisher & Paykel, Bosch, Westinghouse, Dishlex, Electrolux and LG. Miele has topped Canstar Blue’s customer ratings for dishwashers, making it the fifth year in a row. Miele scored five-star reviews for its performance, internal layout, quietness, design, value for money and overall satisfaction. The last thing you want to do after a big meal is wash the dishes, so having a trusty dishwasher to take care of the mess is extremely convenient. You should think carefully and do your research before buying any new household appliances – but this is especially true when it comes to dishwashers. You wouldn’t want your dishwasher to suddenly break down when you have a whole mountain of dishes just waiting to be washed. Dishwasher disappointment is definitely a thing! So where do you turn in your search for the best dishwasher you can buy? If our customer reviews over recent years are any indication, you’ll likely need to splash the cash if you want maximum bang for your dishwashing buck. But we’ll come to latest deals shortly. Each year, we survey thousands of Aussie households to learn about which dishwashers are cleaning up in the kitchen, and which are leaving consumers disappointed. Once again all the major brands have featured in our 2018 results, but only one achieved a five-star overall review from its customers – Miele. It’s the fifth year in a row that the German appliance powerhouse has been rated the best of the bunch. Miele is generally one of the most expensive dishwasher brands on the market, but Australians clearly see the value in spending extra on quality. In addition to overall satisfaction, Miele was also rated five stars in regards to performance, internal layout, design, quietness and value for money – which says something considering Miele dishwashers can cost in excess of $4,000! Another year of dishwashing success adds to Miele’s glowing reputation amongst Aussie consumers, who have also rated the brand No.1 for front loader washing machines and vacuum cleaners in 2018. It was four stars overall for Asko, Smeg, Fisher & Paykel, Bosch, Westinghouse and Dishlex, followed by Electrolux and LG on three stars apiece. So, do you really need to spend thousands of dollars on a Miele dishwasher, or can you find perfectly good quality and value at a cheaper price? Read on as we provide a guide to the dishwasher brands in our latest comparison and see what they have to offer, at what price. 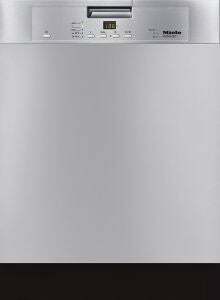 Miele produces a wide range of built-in, integrated and freestanding dishwashers. They have a patented 3D adjustable cutlery tray for those bulky utensils, with short cycle options, ‘Knock2Open’ handleless opening system and an intuitive user interface. In addition to its features, the German brand is also known to be a class-leader when it comes to water and energy efficiency – boasting highly respectable star ratings on both counts. Expect 3.5 stars and above for most models on water efficiency ratings, with 4.5 and above for energy consumption. However, all of this will come at a cost. 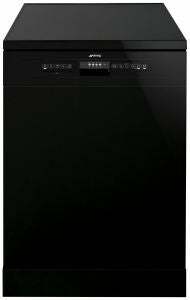 Most Miele dishwashers are priced around the $2,000 mark, with its cheapest model – the Active Freestanding dishwasher – costing $1,299 RRP. The fully integrated range goes up to as much as $4,600! But that doesn’t seem to worry Aussie customers, rating Miele five stars across the board in our 2018 review. Asko is a Swedish appliance brand known for making innovative and stylish appliances – most notably dishwashers. Asko’s dishwasher range encompasses both built-in and fully-integrated models, with the latter often coming in stylish woodgrain finishes to match your kitchen. Asko dishwashers feature highly flexible rack solutions, with lock-in clips for light objects, an upper cutlery tray for maximum storage capacity, a crystal glass racking facility for wine glasses, and intuitive control interfaces for ease of use. Most of the Asko range features 3.5 stars for energy efficiency ratings and 4.5 stars for water use. 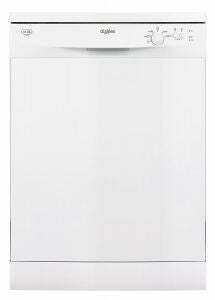 Its premium Under Bench dishwasher (DBI865IGXXL.S.AU) boasts a 6/6 stars for water efficiency. Many models are available for less than $1,500, but most are above this mark, with a few costing closer to $3,000. Asko was a solid performer in our review this year, rated four stars for overall satisfaction and the same score in all other categories. 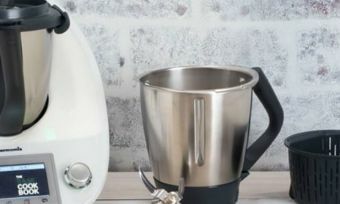 The Italian home appliance brand, Smeg has a focus on style and technology, keeping up with the latest consumer trends. It offers freestanding, underbench, fully-integrated and semi-integrated dishwashers, with most of the Smeg models being the standard 60cm width. It has a number of high end features to look out for within its line-up, including versatile baskets, flexi-duo cutlery trays and Smeg’s ‘Aquatest’ sensor, stated to automatically adjust water, temperature and wash action to suit the load. With uniformly high quality, there are no cheap Smeg dishwashers. This is because even the most basic model includes more features than the basic models of other brands. Prices start at around $1,300, with most models sitting under $1,750 and maxing out at the $2,700 mark for the retro style range. Smeg got four stars for overall dishwasher satisfaction and four stars in all other research categories. Adding to the spread of countries represented in this report, Fisher & Paykel is a company from New Zealand and some of its products are still made across the ditch. Fisher & Paykel is perhaps best known in the dishwasher world for its innovative dishdrawer solutions, where instead of a folding door, you get a drawer. This makes it easy for apartment dwellers short on space, or for those who just want to plonk their dishes in from the top. 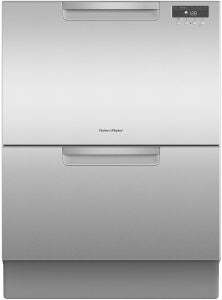 Fisher & Paykel does, however, also offer traditional dishwashers with drop down doors. While the dishdrawer dishwashers are slightly less energy efficient than their traditional counterparts, the convenience factor is notable. Fisher & Paykel’s dishwashers start at under $1,000, while the more expensive models can cost about $2,200, with double dishdrawer models costing a little extra. Fisher & Paykel rated a respectable four stars for overall satisfaction in 2018, as well as for performance, internal layout, and design. It received three stars in respect of value for money and quietness. 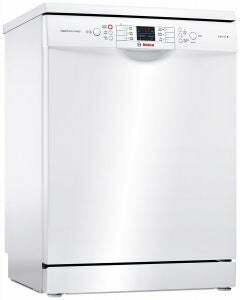 Like Miele, Bosch is another German appliance manufacturer with a large range of dishwashers. Many are still made in Germany, but others are made in other European countries. 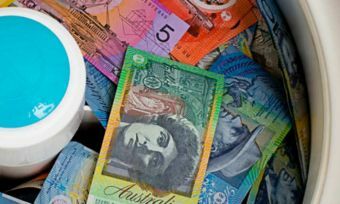 For German-made models, you can expect to pay a slight price premium, however there is still a range of lower prices to suit a lot of Aussie customers. Some cost less than $1,000, while others cost well in excess of $2,000. Bosch dishwashers come equipped with a wide range of rack options and flexibility, and many models are modular, meaning that their small size can easily fit in more places. Many models boast separate compartments for wine glasses, with ‘GlassSecure’ protective trays for protecting crystal. Many also boast five-star WELS water efficiency ratings, with some consuming as little as 10-12L per cycle. Bosch was a solid performer in our 2018 dishwasher comparison, recording four stars for overall satisfaction and in every other category. Born out of the USA, Westinghouse is an Electrolux-owned company and makes all manner of home appliances, including dishwashers. 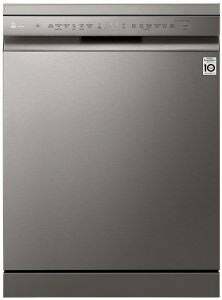 Westinghouse specialises in both freestanding and under-bench dishwashers, with the cheapest models sitting at around $900, while the most expensive costs more than $1,200. All of the models are the standard 60cm width with 15 place settings. Features that are commonly packed in include cycle sensors to help with water efficiency, super-fast wash cycles, hygiene and water safety systems, as well as adjustable rack solutions. Many models boast WELS ratings of better than 4.5 stars, with some consuming less than 13L per cycle. Westinghouse was rated four stars for overall satisfaction, as well as performance this year. It received three stars in all of the other categories, including internal layout, quietness, design and value for money. Dishlex is a kitchen appliance specialist, also owned by the Electrolux group. Some of its products are still made here in Australia, while others are made in either Asia or Europe. Dishlex has a strong focus on budget-friendly prices and simple and effective dishwashing. Dishlex dishwashers cost as little as around $500, while the dearest can be had for around $1,000. Features are fairly basic, with many models having simple rotary dials to choose your wash setting, and standard yet spacious internal layouts. Most impressive, however, is that most of Dishlex’s dishwashers have smart load sensing, which adjusts the water level to suit your load, which can save on water costs. Some models use less than 12L per cycle. Dishlex rounds out the four-star brands for overall satisfaction. It was also rated four stars for performance, internal layout and design, but received just three stars for quietness and value for money. Swedish appliance giant Electrolux – while already featured in the ratings with its Westinghouse and Dishlex dishwashers – has a couple of its own models on offer. Expect features such as delay start times to make use of any off peak energy tariffs, Aqua Control to protect against over flooding and adjustable baskets to fit in different sized dishes. 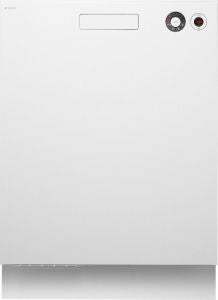 One of its dishwashers – the Electrolux ESF8735ROX ComfortLift – is specifically designed with a lower basket that can simply be raised up instead of simply pulled out to provide a more ‘comfortable’ height to load and unload dishes. In terms of energy efficiency ratings, all Electrolux models earn 4.5 stars. Given some of the high-tech features, Electrolux’s dishwashers cost between $1,400 and $2,100. Electrolux was rated three stars for overall satisfaction and in every category, except in regards to internal layout where it was rated four stars. LG is a South Korean electronics giant, known for feature-rich appliances, from TVs to mobile phones, to washing machines and dishwashers. Some of LG’s dishwashers feature Smart Diagnosis, whereby you can use a smartphone app to send troubleshooting information from your dishwasher directly to LG’s customer service team. You can also expect some models to feature ‘Hybrid Dry’, which heats dishes from the used hot water to dry the load, and has a built-in fan to accelerate the whole drying process. This can aid in better energy efficiency. 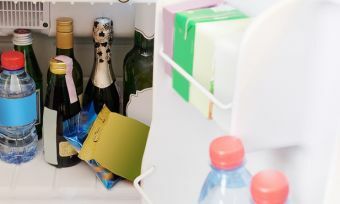 Most models also feature smart racks, which have many adjustable elements to suit the wide variety of glasses and dishes the typical Aussie household uses. LG’s dishwashers start at around $1,000, but you can expect to pay a little more for the most high-end models, up to $1,800. Rounding out this year’s review, LG was rated three stars for overall satisfaction and in all other categories. Any dishwasher worth its salt should be able to fulfil the most basic task of washing your dishes at the end of the day, but there are several key factors worth considering to ensure you buy the best dishwasher for your household’s needs, including size, capacity and internal layout. The standard size of a dishwasher is 60cm wide and 60cm deep, but the height and width of dishwashers can vary significantly between brands and specific model types. 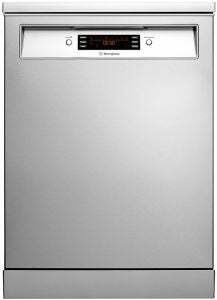 Slimline dishwashers can be considerably smaller at around 45cm wide. Be sure to take measurements of the kitchen space that you have in mind before choosing which dishwasher is best for you. Whichever type you go with, it’s recommended you leave a little space around your dishwasher for ventilation. A dishwasher’s capacity is measured by the number of ‘place settings’ it can accommodate in a single wash cycle. Most freestanding and fully-integrated dishwashers will come with a capacity of 14 place settings, but some high-end models can be even larger. Smaller dishwasher types often have smaller capacities of around 6-7 place settings. Consider your daily use of dishes and cutlery to decide what capacity would be best for your household. Having to use a small dishwasher twice a day, rather than a large model once, is going to result in higher ongoing costs. Anyone who has ever felt the frustration of not being able to properly accommodate different sized cooking utensils, saucepans or frying pans into a dishwasher will be able to appreciate the importance of a good – and flexible – internal layout. If you regularly need to wash large and unusual items, look for a dishwasher that provides maximum flexibility – including being able to move or remove other internal elements to create extra space. 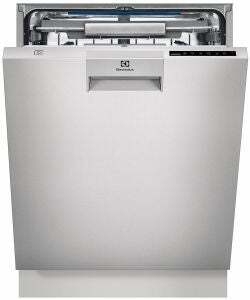 Water and energy efficiency is also an important consideration when picking a new dishwasher. Australia’s Water Efficiency Labelling Scheme (WELS) rates appliances based on how much water they use to get the job done. 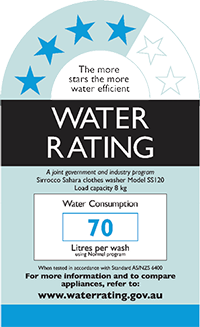 The labels show star ratings from zero to six, as well as how many litres of water will likely be used. The higher the star rating, the more water efficient the appliance will be. It’s a similar deal when it comes to energy ratings, with the number of stars indicating the efficiency of an appliance. Dishwashers with high energy and water ratings will typically cost more to buy, but the trade-off is you stand to save more over time through reduced utility bills. In addition to finding out which dishwasher brands are rated best in Australia, our research identified the key purchase decision factors for consumers, with price being most important. All of us want to bag a bargain on our major household appliances, but keep our ratings in mind because they reflect what is important to consumers once that dishwashers is at home, operating on a daily basis. 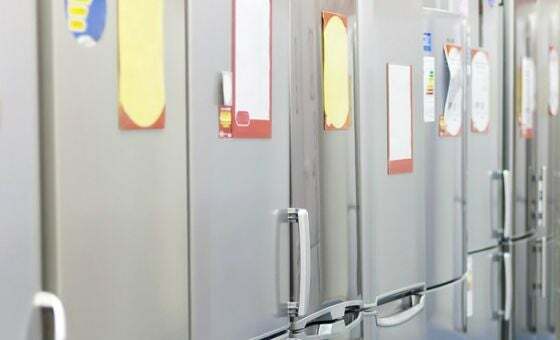 While price is very important – and no one wants to pay more than they have to – it’s probably best to focus on a dishwasher’s performance credentials first and foremost. If you can also get a great deal on the price, then even better! Canstar Blue commissioned Colmar Brunton to survey 3,500 Australian adults across a range of categories to measure and track customer satisfaction. The outcomes reported are the results from customers within the survey group who have purchased and used a dishwasher in the last 3 years – in this case, 1,118 people.